When Audi launched the Q5 a few years ago, the compact luxury SUV was so popular that buyers could not get a hold of one. Today, demand is still high and its popularity still makes other automakers jealous as the Q5 offers the perfect balance of comfort, sportiness, interior space, and fuel economy. All of that of course wrapped in a stylish design that still looks great today. There are quite a few versions of the Q5 offered to buyers. We will get to them shortly, but first know that regardless of which Q5 model you choose, you will get a spacious compact SUV that feels like you are driving a car. Its steering is pinpoint accurate, its handling is capable of handling a winding road with confidence, and its turning radius makes it easy to navigate basically any parking lot or downtown area with ease. 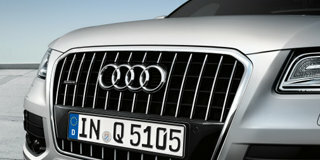 That’s probably why the Q5 was, and still remains, so popular. We are talking about a vehicle here that is both versatile and easy to drive in the city, and also remarkably comfortable on the highway even after a few hours behind the wheel. It is also quite spacious, offering a ton of interior space for both the driver and his or her passengers, as well as plenty of cargo room in the back. No question, the Audi Q5 fills its role perfectly of being an agile luxury SUV that is fun to drive yet ideal for the family. 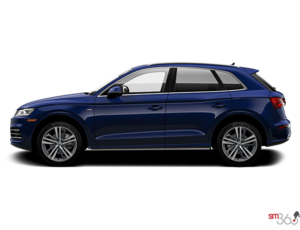 Offered starting at $42,600, the 2015 Audi Q5 is powered by a four-cylinder turbocharged 2.0-liter engine that delivers 220 horsepower and 258 lb-ft of torque. The latter is available at a very low 1,500 RPM, giving the driver of the Q5 tons of power to get off the line or pass with confidence. Yet if you want more power, you can opt for the 3.0-liter supercharged V6 that offers 272 hp and 295 lb-ft of torque. Moreover, if fuel economy is your priority, the Q5 can be equipped with a 3.0-liter diesel V6 that offers a surprising 428 lb-ft of torque, yet averages only 7.5 liters per 100 kilometers on the highway. Finally, there is the monstrous Audi SQ5 that starts at $58,500 and offers 354 horsepower and reaches 100 km/h in only 5.3 seconds. 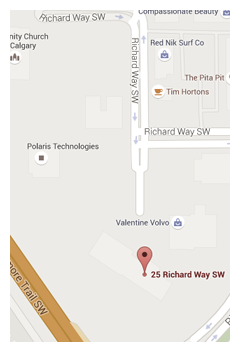 There is indeed a ton of models to choose from in the Audi Q5 lineup. 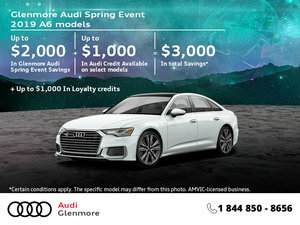 To learn more, visit Glenmore Audi today or book your test drive online!